102 For Sore Breasts Seeth a handful of Mallows very soft in faire water. 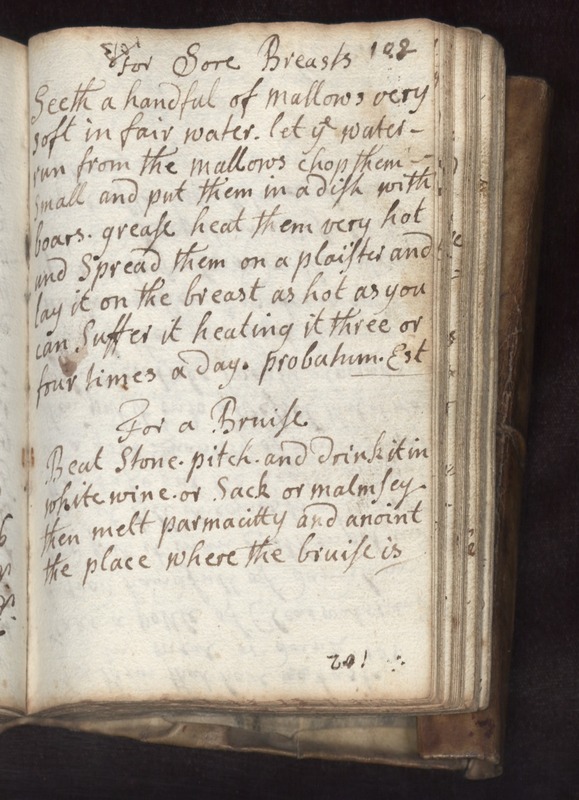 Let ye water run from the mallows chop them small and put them in a dish with boars grease heat them very hot and spread them on a plaister and let it on the breast as hot as you can suffer it heating it three or four times a day. Probatium Est For a Bruise Beat stone pitch and drink it in white wine or sack or malmsey then melt parmacitty and anoint the place where the bruise is.